The deficit of Ukraine’s foreign trade in goods in 2018 grew by 54.5% compared with 2017, to $9.801 billion (to $6.343 billion in 2017), the State Statistics Service said on Thursday. In 2018, exports of goods increased by 9.4%, or $4.073 billion, compared to 2017, to $47.340 billion, while imports rose by 15.2%, or $7.542 billion, to $57.141 billion. The ratio of coverage of imports by exports was 0.83 (0.87 in 2017). The State Statistics Service specified that foreign trade operations were conducted with partners from 221 countries of the world. 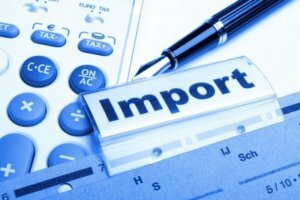 The deficit of Ukraine’s foreign trade in goods in January-November 2018 increased by 66.6% compared with January-November 2017 and amounted to $8.866 billion, the State Statistics Service has reported. According to its data, in November the deficit amounted to $920 million, whereas in October it was $1.48 billion, in September $1.46 billion, in August $940 million, in July $1.41 billion, in June $600 million, in May $630 million, April $220 million, March $460 million, February $460 million, and in January $280 million. In January-November 2018, exports of goods compared to the same period in 2017 rose by 9.9%, reaching $43.25 billion, imports by 16.7%, to $52.11 billion. The State Statistics Service said that in November 2018 compared with the previous month the seasonally adjusted export volume grew by 4.7%, reaching $3.98 billion, while imports decreased by 1.1%, to $4.88 billion. The rate of coverage of imports by exports for the 11 months of this year was 0.83 against 0.88 in January-November 2017. The State Statistics Service said that foreign trade operations were conducted with partners from 220 countries of the world. 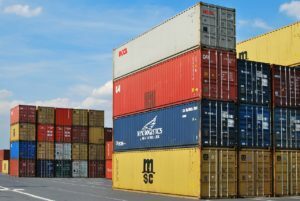 The deficit of Ukraine’s foreign trade in goods in January-July 2018 increased by 42.7% compared to January-July 2017, to $4.064 billion (it was $2.848 billion in January-July 2017), the State Statistics Service of Ukraine said. The deficit in July alone was $1.406 billion, while it was $602.7 million in June, $632 million in May, $221.6 million in April, $460 million in March, $457 million in February, and $284.1 million in January. Exports of goods in January-July this year increased by 12.7% year-over-year, to $26.876 billion, while imports grew by 15.9%, to $30.94 billion. Seasonally adjusted exports in July 2018 decreased by 7% from June 2018, imports grew by 0.7%. Seasonally adjusted foreign trade in July 2018 was negative and the deficit was estimated at $1.214 billion. The deficit was also registered in June 2018 ($894.2 million), in May ($ 946.5 million), in April ($570.8 million), in March ($508.2 million), in February ($411.8 million) and in January ($580.5 million). The ratio of coverage of imports by exports was 0.87 (it was 0.89 in January-July 2017). 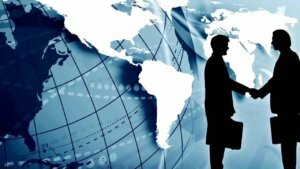 Ukraine traded with partners from 212 countries. The deficit of Ukraine’s foreign trade with goods in January-April 2018 grew 1.5-fold year-over-year, reaching $1.423 billion ($968.6 million in January-April 2017), the State Statistics Service reported on Tuesday. In April, the deficit was $221.6 million, while in March – $460 million, in February – $457 million and in January – $284.1 million. In January-April 2018, exports of goods grew by 12.8% year-over-year, to $15.457 billion, and imports – by 15.1%, to $16.88 billion. In April 2018 compared with the previous month seasonally adjusted volumes of exports fell by 3.6% and imports – by 1%. The seasonally adjusted deficit of foreign trade in April 2018 was $577.7 million, in March it was $473.9 million, in February 2018 – $352.9 million and in January – $519.9 million. 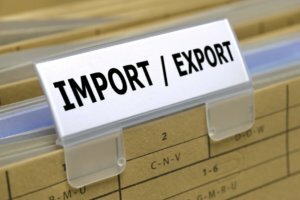 As a result, the coefficient of coverage of imports by exports was 0.92 (in January-April 2017 some 0.93). The service said foreign trade operations were conducted with partners from 210 countries. The deficit of Ukraine’s foreign trade with goods in January-March 2018 grew 1.5-fold year-over-year, reaching $1.201 billion ($794.1 million in Q1 2017), the State Statistics Service reported on Tuesday. In March, the deficit was $460 million, while in February – $457 million and in January – $284.1 million. In January-March 2018, exports of goods grew by 10.3% year-over-year, to $11.435 billion, and imports – by 13.2%, to $12.636 billion. In March 2018 compared with the previous month seasonally adjusted volumes of exports grew by 2.5% and imports – by 2%. The seasonally adjusted deficit of foreign trade in March 2018 was $338.7 million, in February 2018 – the deficit was $352.9 million and in January – $519.9 million. As a result, the coefficient of coverage of imports by exports was 0.90 (in January-March 2017 some 0.93). The service said foreign trade operations were conducted with partners from 209 countries. 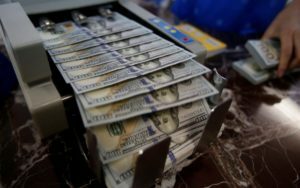 The deficit of Ukraine’s foreign trade in goods in February 2018 amounted to $457 million, while in January 2018 it was $284.1 million, the State Statistics Service has said. In January-February 2018, the deficit totaled $741.1 million compared with the deficit of $491.4 million a year ago. In January-February 2018 exports of goods amounted to $7.4 billion, imports to $8.1 billion. In comparison with January-February 2017, exports increased by 17.9%, imports by 20.3%. In February 2018, the seasonally adjusted volumes of exports fell by 3.6% and imports by 6.6%. The seasonally adjusted deficit of foreign trade in February 2018 was $356.4 million. In January 2018, the deficit was $517.4 million. As a result, the ratio of coverage of imports by exports was 0.91 (in January-February 2017 some 0.93). 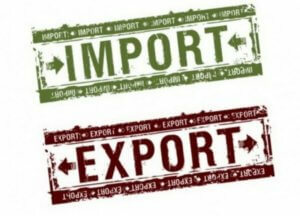 The statistics service said foreign trade operations were conducted with partners from 201 countries.